Visitors are always welcome to the Mill Barn studio (please phone first) to see firsthand new works. 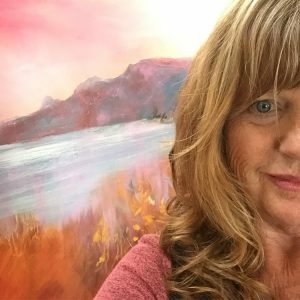 Sue prefers to self promote with solo shows, open studio events and group shows. Working with interior designers such as Jill Stein and Cathryn Bishop on high end projects within Cornwall, Sue also takes also commissions. She works very closely with clients as well as many homeowners in North Cornwall and further afield. See more about commissioning a painting here. Currently individual work can also be seen in the following restaurants St. Tudy Inn Steins Fish Restaurant, Porthleven . All images are copyright of the artist. Please do not copy to other websites without Sue’s personal permission, and always include the page url.